Tui Motu is an exciting and challenging journal that invites readers to question, debate and reflect on spiritual and social issues in the light of gospel values with the aim of creating a more just and peaceful society. Tui Motu is a Maori phrase meaning “stitching the islands together…” bringing different races, faiths and opinions into relationship. 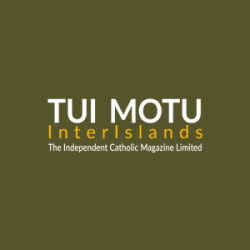 Tui Motu has given permission that we may provide one article from each issue on this website.